The purpose of this site is to provide general information about Crouzet Automatismes SAS. 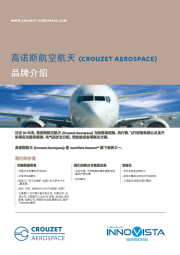 The Crouzet brand and any registered trademarks of Crouzet Automatismes SAS referred to on this website are the sole property of Crouzet Automatismes SAS and its subsidiaries. They may not be used for any purpose without the prior written agreement of the owner. This website and its content are protected, within the meaning of the French intellectual property code (Code de la propriété intellectuelle français, referred to hereafter as “the Code”), under the laws of copyright covering texts, drawings and models, as well as by trademark law. You agree not to reproduce, other than for your own personal, non-commercial use as defined in the Code, all or part of this website or its content on any medium whatsoever without the prior written agreement of Crouzet Automatismes SAS. You also agree not to establish any hypertext links to this website or its content. Crouzet Automatismes SAS does not grant any right or licence for the personal and non-commercial use of the website or its content, except for a non-exclusive licence to consult it on an “as is” basis, at your own risk. All other rights are reserved. Crouzet Automatismes makes all reasonable efforts to ensure that this website is accessible at all times and that the information contained there-in is kept up to date. You may however be prevented from accessing the site or experience access problems due to technical difficulties or during maintenance work or upgrades. Users should be aware that cookies may be installed automatically in their web browser when they visit this site. Cookies do not identify users but do store information about their browsing history on the website. Avant-Première, Crouzet Automation, Shutterstock, Thinkstock. LP Digital for grafic interface creation. InnoVista Sensors for website development and integration. Crouzet, a company of InnoVista Sensors™, products’ and technologies’ are required to comply with International and U.S. trade laws including but not limited to the laws and regulations administered by the U.S. State Department, the U.S. Department of Commerce and the U.S. Customs and Border Protection agency. The regulations are in place to protect U.S. national security, foreign policy objectives and U.S. economic interests. Abiding by standards set by U.S. and foreign laws and regulations is a legal and ethical obligation for InnoVista Sensors™. Should you have questions or concerns regarding InnoVista Sensors’s Trade Compliance please contact us. libero. ante. luctus ultricies diam elit. nunc leo venenatis elit.